The fund of cultural assets of the Dubrovnik-Neretva Region comprises of a very large number of valuable cultural goods. 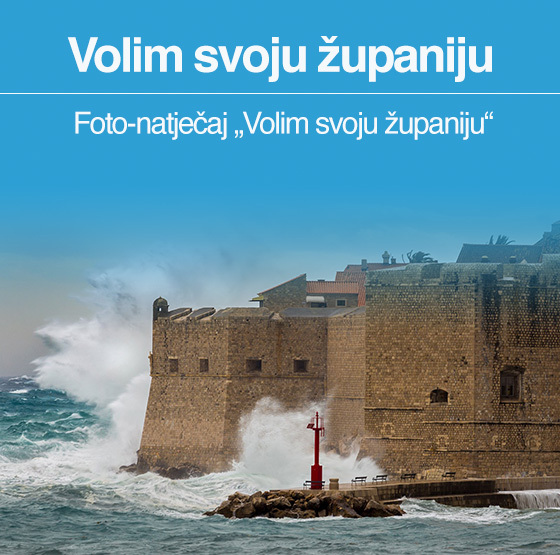 According to the data and the records kept by of the Ministry of Culture, the Directorate for the Protection of Cultural Heritage and the Conservation Department in Dubrovnik, there is a total of 535 immovable cultural assets under protection and under preventive protection in the Region, 486 of which are protected and 49 are under preventive protection. According to the data provided by the Conservation Department in Dubrovnik and the Physical Planning Institute of the Dubrovnik-Neretva Region, there are 1,968 registered cultural assets in the Region’s area. The total number of immovable cultural assets that are under regular and preventive protection and which are registered in the Dubrovnik-Neretva Region is 2,503. With its richness of cultural heritage and its touristic valorization at the level of Dubrovnik-Neretva Region, but also of the whole Republic of Croatia, the City of Dubrovnik is the lead star. 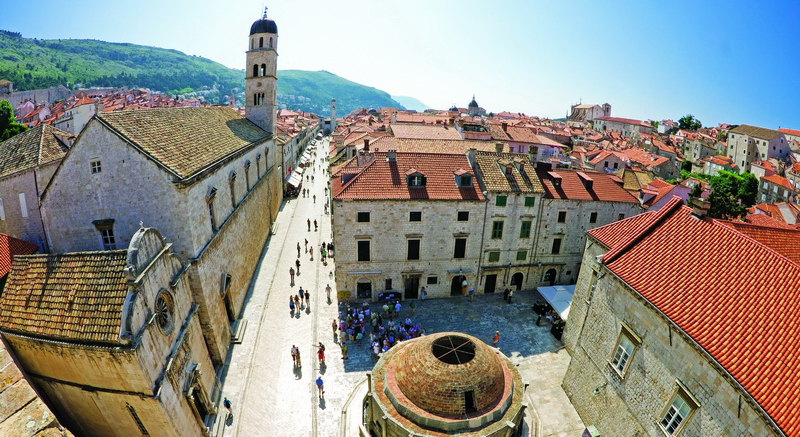 The entire City of Dubrovnik is one large cultural and historical monument. The most recognizable feature that defines the character of the historic town of Dubrovnik and gives it its specific and internationally famous look are its intact city walls which surround the city with their 1,940 meter long, continuous loop. That complex structure, which is one of the most beautiful and sturdy fortification systems in the Mediterranean, consist of a range of fortifications, bastions, casemates, towers and separate forts. Its most famous and monumental element is the round Minčeta Tower which has been, with its splendid crown, a symbol of liberty of Dubrovnik for centuries, and which still dominates the city. The monumental buildings and the most beautiful examples of the architecture of Dubrovnik are all placed within the city walls: the Rector’s Palace, the Sponza Palace, the Orlando Column, St. Blaise Church – a cathedral with the treasury, the Dominican Monastery and church, the Franciscan Monastery, the Jesuit St. Ignatius Church, The Small and the Big Onofrio’s Fountain and the main city street – Placa (Stradun) which is a unique example of a hall under the open sky. In addition to the rich tangible heritage and the extremely valuable, albeit limited, spatial resources, it is also important to highlight the importance of the intangible cultural heritage. The Festivity of Saint Blaise (Festa Svetog Vlaha), held on the occasion of the saint’s holiday on the 3rd of February, has been celebrated every year since the year 972 and was inscribed in 2009 on the Representative List of the Intangible Cultural Heritage of Humanity by UNESCO. Klapa multipart singing (klapsko pjevanje), which is being nurtured not only in Dubrovnik but also alongside the entire coast, was also inscribed onto the Representative List of the Intangible Cultural Heritage by UNESCO. The Dubrovnik dialect and the Dubrovnik-Primorje dance called linđo, were inscribed onto the National List of the Intangible Cultural Goods. The medieval Cavtat, the predecessor of Dubrovnik, is a small city that was built, according to the urbanistic planning, on the southern slopes of the peninsula containing two deep and accessible bays. For centuries it had been built according to the canons of a Dubrovnik-styled harmony and in every historical period it had creators whose works are of true value. 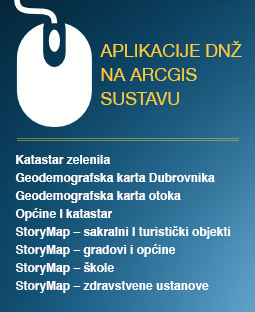 The cultural and historical story of its unique and natural beauties forms a continuous flow. The house of Vlaho Bukovac, the Mausoleum of the Račić family, the Collection of Baltazar Bogišić, The Pinacoteca of the St. Nicholas Church and the Heritage Museum of Konavle are just a few examples that hold valuable literary, museum and archival materials on the history of this region. The Sokol Fortress or Soko Grad is the biggest and, because of its location on a hill pass going towards the Bosnian hinterland, an exceptionally important fortress deriving from the time of the Dubrovnik Republic. It was built on the location of former Illyrian and Roman fortifications, as testified by the remains of the ceramics and the Roman brick in its walls. With its shape it adapted to the natural rock upon which it was built, and with the color of stone it fused with its surroundings. From the Soko Grad, with a memorial and sepulchral church of Our Lady of Sokol underneath, one can observe the unique and the most complete view of the entire area of Konavle. The oldest historical data and archaeological findings, the remains of ceramic shallow vessels and the bones found in Močiljska cave and other caves in Dubrovačko primorje, prove that this area was already inhabited in the New Stone Age, and even before (8 000 to 3 000 years BC). Illyrians, Greeks, Romans, Ostrogoths, Byzantium and many others left their trace on this region. The destroyed stone Illyrian barrows, Roman sarcophagi, necropolises, writings in stone, the remains of a church called Rotonda in the vicinity of the Ošlje settlement, medieval standing tomb-stones (stećci) and numerous writings carved into stone serve as evidence to that fact. There are several areas on Pelješac that stand out as heritage sites: the urban area of Ston with Mali Ston, the Walls of Ston as a defensive wall and one of the largest medieval fortification and urbanistic endeavors with its entire length of 5.5 km, including around 40 towers and five forts, all of them suggested for the inscription on the UNESCO’s List of World Heritage, and Orebić as an example of maritime heritage. As far as islands are concerned, cultural heritage is valued the most on Lastovo, Mljet and Korčula. The Mljet National Park includes almost 5 400 ha of surface, including a sea zone extending 500 m from the coast, small islands and cliffs, and takes up around a third of the island. Salty lakes, Malo and Veliko Jezero are the most prominent locations in this area and an important geological and oceanographic phenomenon. The entire surface of the park is exceptionally rich with life, and numerous endemic and endangered species testify to the importance of its preservation. NP Mljet will not disappoint lovers of cultural heritage either, thanks to its numerous archaeological locations and the heritage of ancestors reflected in its old island settlements. The Benedictine Monastery, located on one of the most beautiful locations in this region, the small island of St. Mary on the Veliko Jezero Lake, is the most visited sight of the national park. The cultural heritage of the island of Lastovo is remarkably preserved and bears witness to diverse historical periods. Romans called Lastovo the Emperor’s island, and the beautiful buildings from white stone, family houses from the 15th and the 16th century, testify to its history. The architecture of the island is particular because of the strikingly interesting chimneys or fumari and terraces or sulari which give the contours of Lastovo a specific mark. Besides the streets and the fumari chimneys, there are also specific stone staircases or skalinade. There are more than 40 churches and chapels on the island. The oldest is a small church of St. Luke from the 11th century, and in the Ubli settlement there is an excavated Early Christian basilica from the 6th century. For four centuries already Lastovo has been maintaining the old tradition of folk carnival – Poklade, whose importance was recognized by the Ministry of Culture of the Republic of Croatia and which was subsequently added to the List of Protected Intangible Cultural Goods. The rough history of the island of Korčula certainly left a mark on the city which stands out with its rich cultural and historical heritage that is especially visible in the old town. In this context, out of the numerous valuable cultural monuments in the city, it is important to mention the gothic cathedral of St. Mark with its valuable interior (from the 14th and the 15th century), the Arneri Palace with its renaissance courtyard, as well as the Gabrielis Palace from the 16th century which houses the City Museum since the year 1957. Furthermore, it is important to mention the Cardinal’s Palace which houses a rich Monk Treasury (from the 17th century), the City Hall from the 16th century, a Chapel of Our Lady of Ploče from the same period, the Mali Revelin Tower from the late 15th century, the Church of St. Michael (the 15th century), the Revelin Tower (the 15th century), the Church of All Saints (the 15th century), the semi-circular Tiepolo Tower and the Barbarigo Tower, the Dominican Monastery with the Church of St. Nicolaus (the 16th and the 17th century), as well as the Fortress of St. Blaise which was built by the British in 1813. Also, it is important to mention the birth house of the famous seafarer Marco Polo as a special tourist sensation in the city. A battle dance with swords called Moreška from Korčula was included on the List of the Protected Intangible Cultural Goods of the Ministry of Culture of the Republic of Croatia. 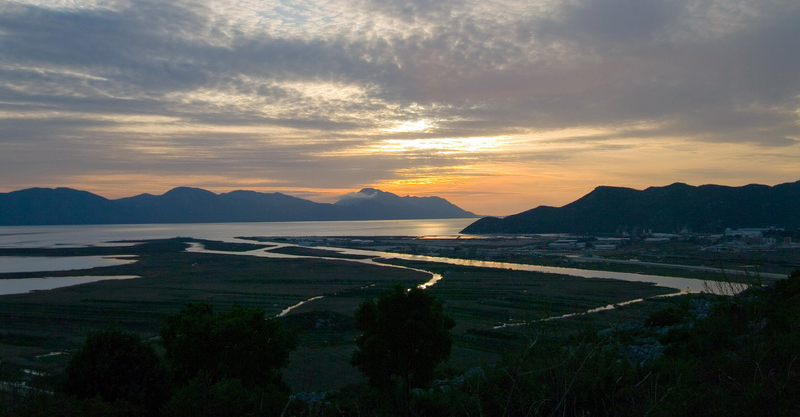 The region of Neretva is full of relics of the past, even more than some other areas. 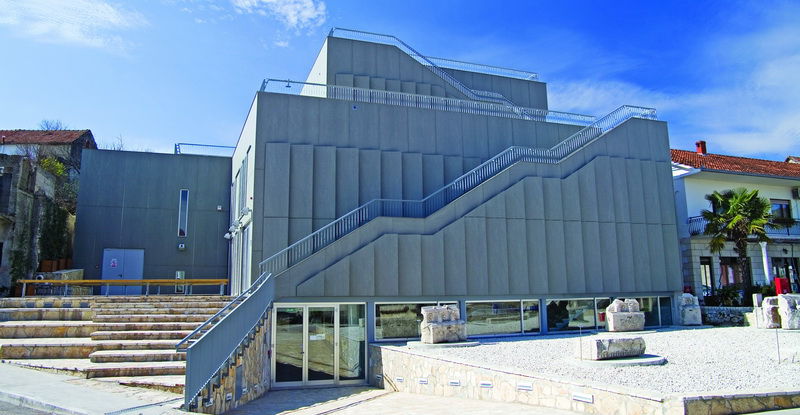 The cultural heritage of the Neretva region is presented by the Archaeological Museum Narona which was built in 2007 above the temple erected around the year 10 BC in the honor of the emperor Augustus and which represents the first “in situ” museum in Croatia. On the surface of around 1,000 square meters there are 900 exhibits which were found in the temple, on the forum beneath it and the whole site of the ancient Narona. Furthermore, it is important to highlight the Ornithological Collection of the Natural Museum of Metković which was presented to the public for the first time in 1952. The collection consists of 368 taxidermy items, among which are examples of almost all species registered so far in the area of Neretva, and it is one of the biggest ornithological collections in Europe. The villages of Vid and Prud, which were built on the remains of the ancient Narona, and the Valley of the River Neretva, which is known as the “last delta of Europe”, shape the cultural heritage of the Dubrovnik-Neretva Region. On different locations in the Neretva area and all the way to Konavle, examples of early medieval heritage can be found – numerous standing stone tomb-stones and necropolises. The site in Dubravica, as well as the St. Barbara Church and the Novakovo greblje site in the Dubrovačko primorje Municipality are our most preserved and beautiful sites with standing tomb-stones, and are candidates for the inscription on the UNESCO World Heritage List. The cultural heritage of Dubrovnik-Neretva Region has a rich historical legacy of several centuries which today represents an important cultural treasure and international tourist attraction.